Battery Chargers	There are 55 products. 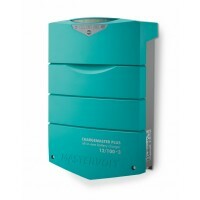 Mastervolt ChargeMaster 12/10 battery charger guarantees fast and complete charging of your batteries no matter where you are. Charge multiple battery banks simultaneously. Nominal output voltage: 12 V, Total charge current: 10 Amp, Number of battery outlets: 1. Battery capacity range: 25-100 Ah, Nominal input voltage: 230 V (180-265 V), 50/60 Hz. Dimensions: 7.1 x 4.8 x 2.0 inch, Weight: 2.2 lbs. MFG#: 43011000. *Free US Shipping! 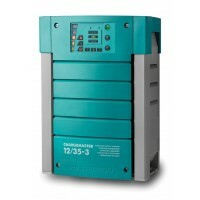 Mastervolt’s ChargeMaster 12/15 guarantees fast & complete charging of batteries. Charge multiple battery banks simultaneously. IP65 Waterproof. Nominal output voltage: 12 Volt, Total charge current: 15 Amp, No. of battery outlets: 2. 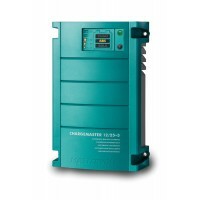 Battery capacity range: 30-150 Ah, Nominal input voltage: 230 V (180-265 V), 50/60 Hz. Dimensions: 8.1 x 4.8 x 2.0 inch, Weight: 2.2 lbs. MFG#: 43011500. *Free US Shipping! 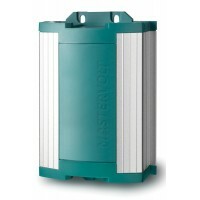 Mastervolt’s ChargeMaster 12/25 guarantees fast and complete charging of batteries no matter where you are. Charge multiple battery banks simultaneously. Nominal output voltage: 12 V, Total charge current: 25 Amp, Number of battery outlets: 3. 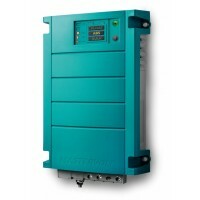 Battery capacity range: 50-250 Ah, Nominal input voltage: 120/230 V (90-265 V), 50/60 Hz. Dimensions: 9.2 x 5.2 x 2.4 inch, Weight: 4.0 lbs. MFG#: 44010250*Free US Shipping! 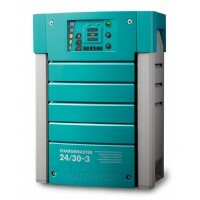 Even under extreme conditions, the Mastervolt Mass 24/25 battery charger operates faultlessly, giving you round-the-clock output when necessary. MTBF of 280,000 hours at full capacity and 24/7 use. GMDSS alarm functions. 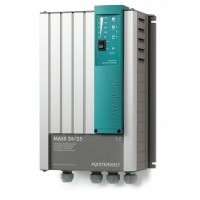 Nominal output voltage: 24 V, Total charge current: 25 Amp. 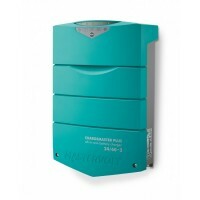 Nominal input voltage: 230 V (180-265 V), 50/60 Hz. Dimensions: 12 x 8 x 4 inch. MFG#: 40020256. 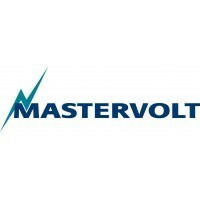 Mastervolt Mass 24/25. *Free US Shipping! 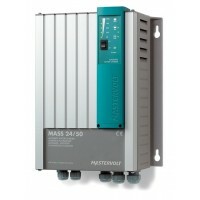 Mastervolt Mass 24/75 Battery Charger. 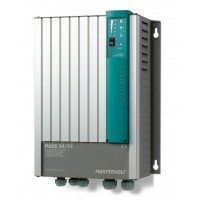 Even under extreme conditions, Mastervolt's Mass battery chargers operate faultlessly; round-the-clock output when necessary. MTBF of 280,000 hours at full capacity & 24/7 use. *DNV & Lloyds certification. Nominal output voltage: 24 V, Total charge current: 15 Amp. 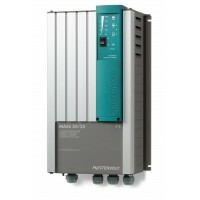 Nominal input voltage: 230 V (180-265 V), 50/60 Hz. Dimensions: 16.5 x 12.5 x 5.1 inch. *Free US Shipping! Even under extreme conditions, The Mastervolt Mass 24/100 battery charger operates faultlessly; round-the-clock output when necessary. MTBF of 280,000 hours at full capacity, 24/100 use. 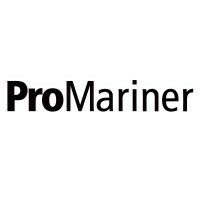 *DNV & Lloyds Certification. Nominal output voltage: 24 V, Total charge current: 100 Amp. Nominal input voltage: 230 V (180-265 V), 50/60 Hz. Dimensions: 16.5 x 12.5 x 5.1 inch. 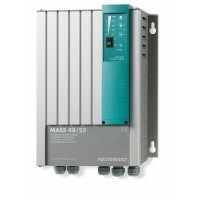 Mass 24/100 MFG#: 40021006. *Free US Shipping! 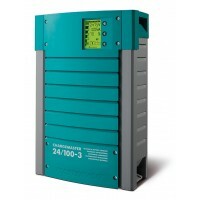 Even under extreme conditions, The Mastervolt Mass 24/100 Battery Charger operates faultlessly, giving you round-the-clock output when necessary. MTBF of 280,000 hours at full capacity and 24/100 use. GMDSS alarm functions. 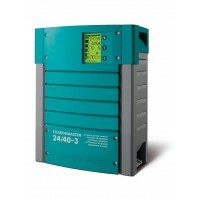 Nominal output voltage: 24 V, Total charge current: 100 Amp. 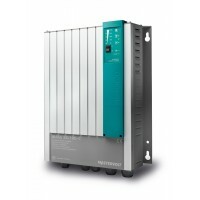 Nominal input voltage: 3 x 400 V, 50/60 Hz. Dimensions: 16.5 x 12.5 x 5.1 inch. Mastervolt Mass 24/100. MFG#: 40031006. *Free US Shipping!